Here is an example of an advance information PDF generated using Consonance Sans-serif: the default, and recommended, template that your account ships with. This is the recommended template for the following reasons. It is the template most likely to appear well-formatted, regardless of the differences in data. It is the template most likely to provide a consistent experience. It supports the most characters, scripts, and diacritics. Its design is the most extensively researched for sales effectiveness. It is the best-supported template and is thus the most futureproof option. It is the result of a special commission to designer Tom Spindlow. Read about the template’s project development. If none of these exist, no cover displays, and the title aligns left. The cover always appears on the first page of the AI. The title is the work title and the work subtitle joined with a colon. Keynote data appears next, if there is a marketing text of type Keynote. It formats according to its HTML markup. Contributor data appears as per the data entered in the metadata page. When the product has one or more edition, as provided on the metadata page, the list of edition types appears on the sidebar. 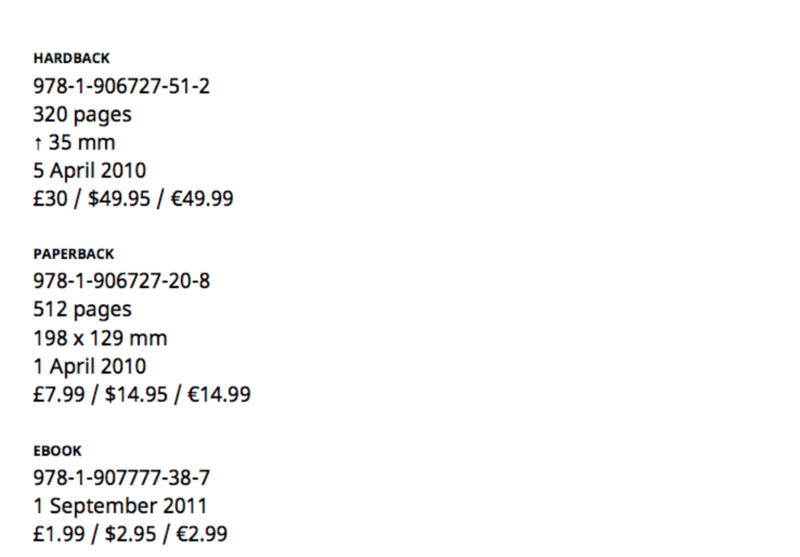 For example if the product is labelled as both Revised and Acting edition, then the sidebar reads as follows. 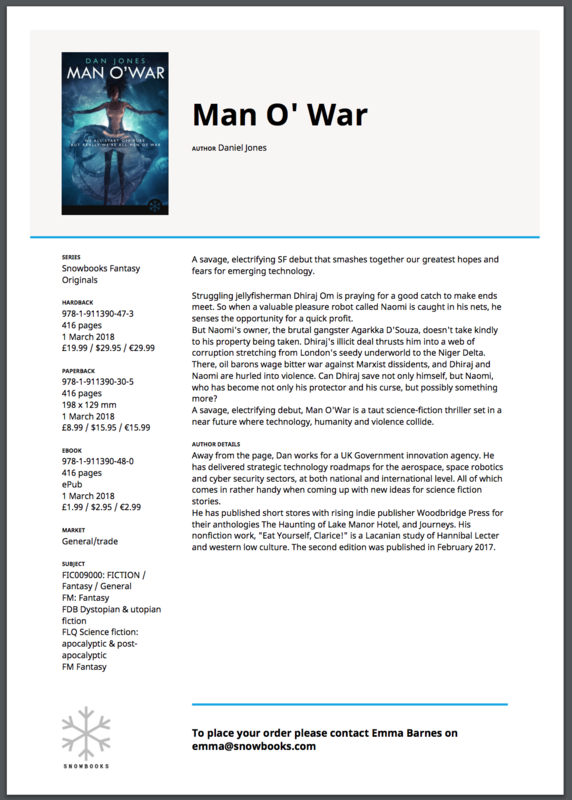 If there are hardbacks, the sidebar features a product summary with the first hardback. 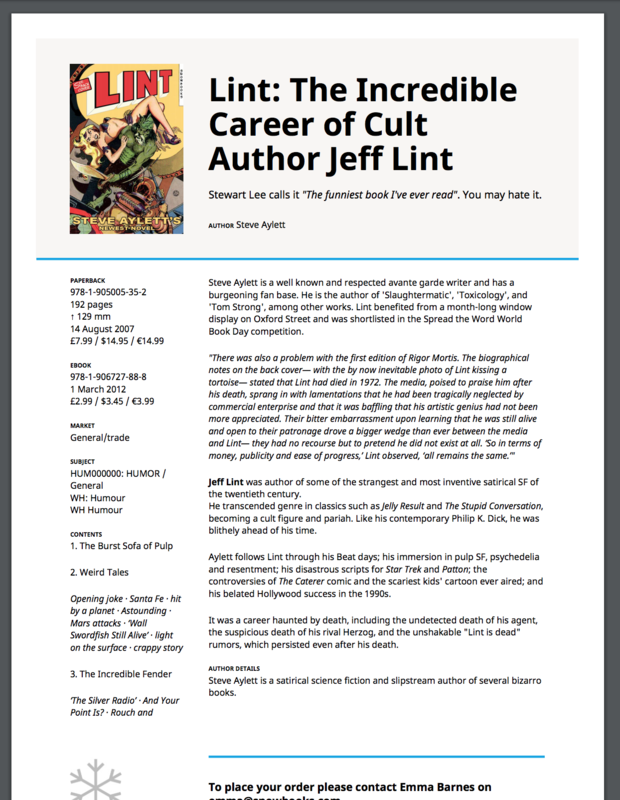 If there are paperbacks, the sidebar features a product summary with the first paperback. If there are ebooks, the sidebar features a product summary with the first ebook. 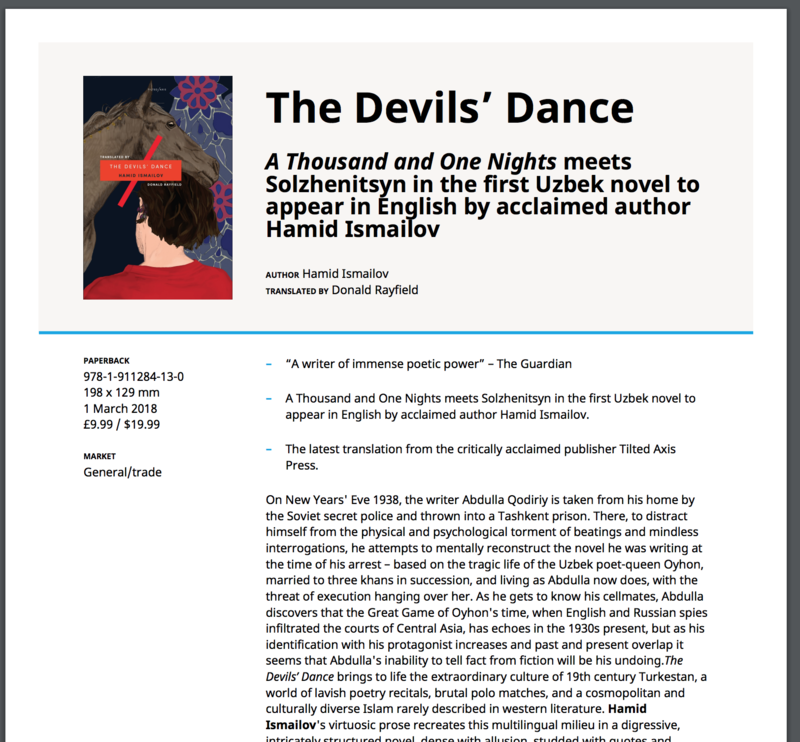 Multiple edition formats, such as ePub and PDF, are included in each edition block. If there are ONIX audience codes given on the metadata page, they appear next on the sidebar. The subjects added on the metadata page appear next on the sidebar. This is any marketing text of type Table of contents. The table of contents flows onto the next page if necessary. If there are marketing texts of type Key selling points , these appear next. Format it with bullets which print out nicely on the AI. The AI uses the external pull quote text from whichever marketing text is labelled as Description . If there are no contributors, no headers appear. If there are multiple contributors, a contributor description appears for the authors. If there are editors, a contributor description appears for the editors, labelled accordingly. The logo at the bottom left comes from Settings. Go to Settings > Configuration > Imprints ⤴. The message To place your order… is hard coded and the user name and email is the current user’s. Table of contents, related products and run on text appear on the back page.